I remember when I first came to this website back in 08. Back when people were discussing and theory-crafting what each image and symbol was in the World Wide Invitational 2008 teasers that lead up to that weekend. I went between them and diabloii.net. 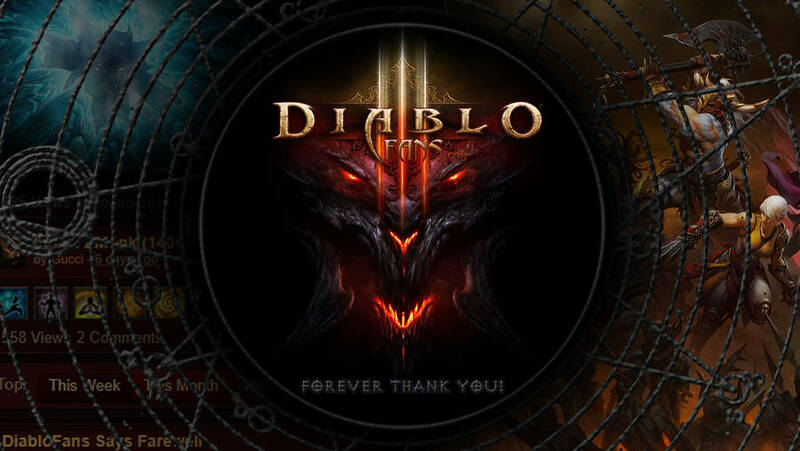 I always considered them a great rival website to Diabloii.net and I personally feel sad that we lost a great news site and valuable asset to the diablo community. Sexen, Agnzt, OSW_Zenkiki, Neinball, LeviathanD3, and many many others from that website. Thank you for helping make this website what it became. And thank you for the memories over the past 10 + years. Thanks for letting me have another place to post up my old wallpapers when there use to be a gallery. Also thank you for making a separate fan creation folder for OS and Wallpaper art so I could post all my stuff w/o spamming the main fan art forum. Will miss this place. *raises his drink* Here's to diablofans.com and to whatever comes next. If you want to see my wallpaper artwork after this post, check me out on deviantART and twitter!